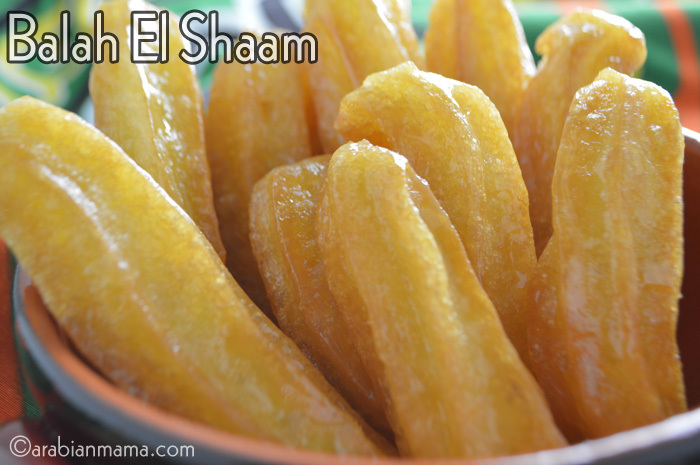 Crunchy and sweet, yet so soft and airy from the inside, Balah el Shaam is one of the very popular, very irresistible desserts during the holy month of Ramadan. What exactly is Balah el Shaam? Literally translated from Arabic it means Levant dates. 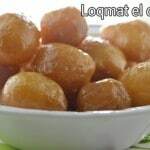 No this dessert does not have dates in it, it was named dates as of the size and Levant as it originated from the Levant area in the Arab world. 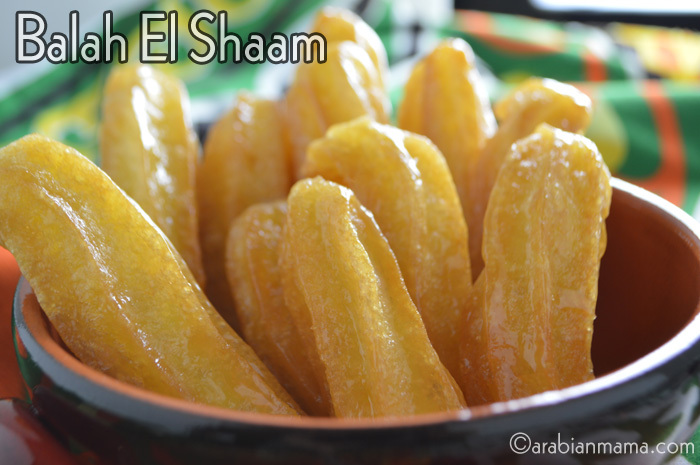 Balah el Shaam is typically a fluffy choux pastry, fried then dunked in the heavy syrup. It is so sweet, but you can just drizzle it with some honey for a lighter variation. You also can stuff it with custard, whipping cream or mascarpone cheese and drizzle with some honey and finally sprinkle some pistachios on top….. so delicious. Making Balah el shaam has been on my bucket list for a long time. I do not know from where I got the idea that it was too complex to make!!. Making a choux pastry seemed daunting for me but finally I grabbed my tools and started working … was it successful? . Actually it was one of the best desserts I’ve ever made. Mixing the eggs into the batter is the only hard or confusing step in this recipe. When you first mix in the eggs it gets messy and it seems like everything you failed!!! if it did so then no worries you are on the right track just keep mixing and it will come together eventually forming a very nice and soft dough. After mixing in all the eggs, a sign of success is that when you pull a spoon out of the dough it forms a hook, if not then add another egg. 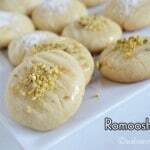 Here is a video showing you how to make Balah el Shaam. Enjoy the rest of the week. Thick simple syrup or honey. In a pot over medium heat add the water,then the butter.Leave it until it melts. Meanwhile sift the flour, cornstarch and salt. Bring the water mixture to a boil. Stir vigorously with a wooden spoon for a minute, until the mixture forms a ball. Remove the dough from the heat, Let it cool for 5 minutes. Mix eggs, vanilla and vinegar. 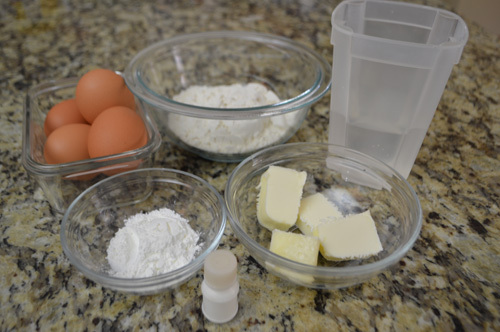 Gradually mix the eggs into the dough. Until the dough is soft and glossy. A hook shape is formed when a spoon is pulled from the dough. Brush a pastry bag -fitted with a star tip- with some canola oil,Scrape the dough into the bag. Heat oil on a medium to medium-low heat,Pipe the dough into the oil (about 2 inches). Fry until golden brown, drain on paper towels. 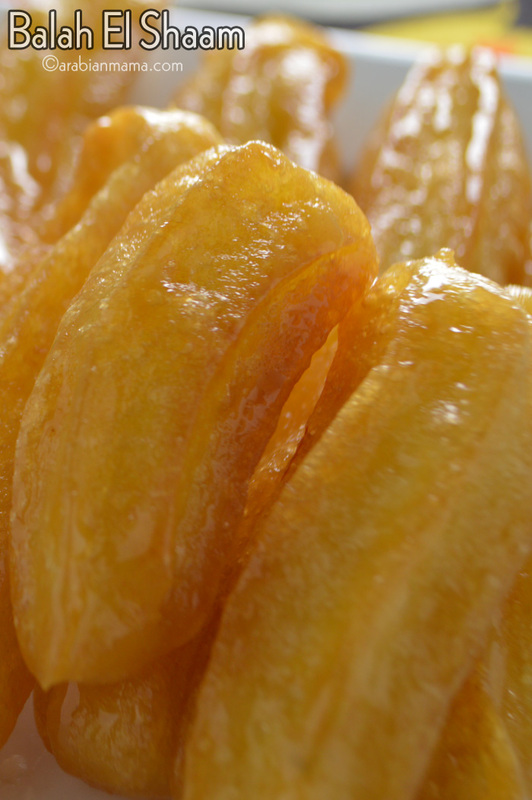 Dunk in the syrup or you can drizzle with honey for a lighter version. I confirm it’s delicious Amira! 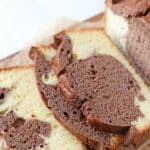 But I’d rather take your advice to drizzle with honey cause it can be quite too much sugar in one bite otherwise. Hope ramadan is going well for you and that you are safe. News from Egypt are not the best these days. Thinking of you and your loved ones.